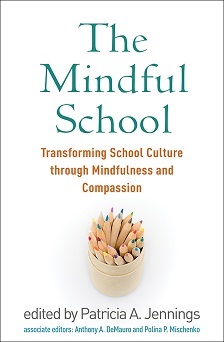 Patricia (Tish) Jennings is an internationally recognized leader in the fields of social and emotional learning and mindfulness in education. She became a meditation practitioner at 17 and has taught mindful awareness practices to children and adults for over 40 years. 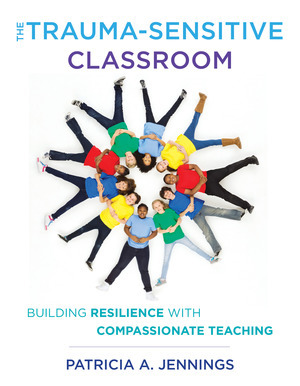 Her research places a specific emphasis on teacher stress and how it impacts the social and emotional context of the classroom, as articulated in her highly cited theoretical article "The Prosocial Classroom." Jennings recently led the team that developed CARE, a mindfulness-based professional development program shown to significantly improve teacher well-being, classroom interactions and student engagement in the largest randomized controlled trial of a mindfulness-based intervention designed specifically to address teacher occupational stress. Currently, she is leading the development of the Compassionate Schools Project curriculum, an integrated health and physical education program designed to align with state and national health and physical education standards, and is co-Investigator on a large randomized controlled trial being conducted in Louisville, KY, to evaluate the curriculum’s efficacy. A member of the National Academy of Sciences Committee on Fostering Healthy Mental, Emotional, and Behavioral Development among Children and Youth, she was awarded the Cathy Kerr Award for Courageous and Compassionate Science by the Mind & Life Institute in 2018 and recently recognized by Mindful Magazine as one of "Ten Mindfulness Researchers You Should Know." Earlier in her career, Jennings spent more than 22 years as a teacher, school director and teacher educator. She is the author numerous peer-reviewed journal articles and chapters and several books: Mindfulness for Teachers: Simple Skills for Peace and Productivity in the Classroom, The Trauma-Sensitive School: Building Resilience with Compassionate Teaching, and Mindfulness in the Pre-K-5 Classroom: Helping Students Stress Less and Learn More, part of Social and Emotional Learning Solutions, a book series by WW Norton of which she is editor. Published by W.W. Norton & Company, Inc.
January 2017 - Schools experimenting with meditation as an alternative to detention. Newsworks/WHYY.